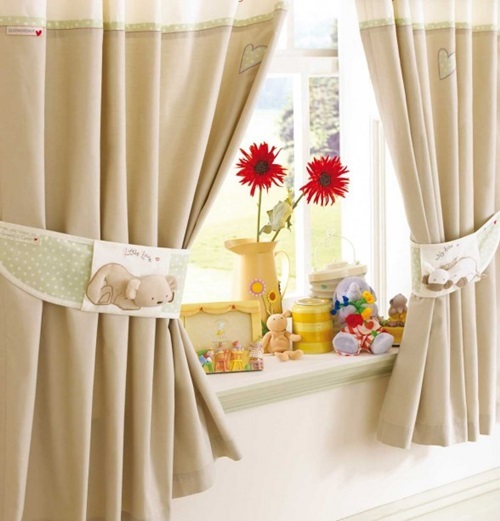 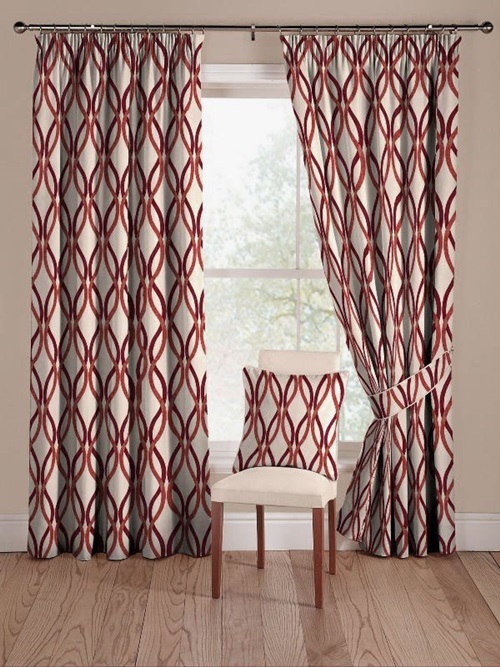 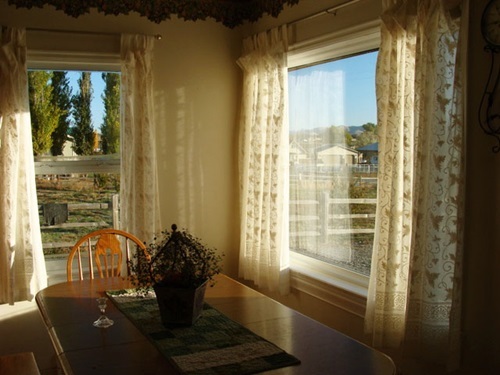 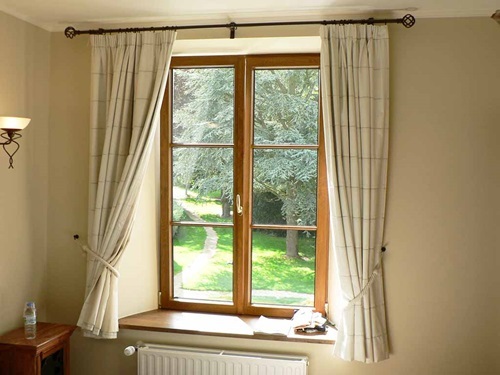 The cottage style curtains are simple and inexpensive means to decorate any room and bring the warm feel to your house. 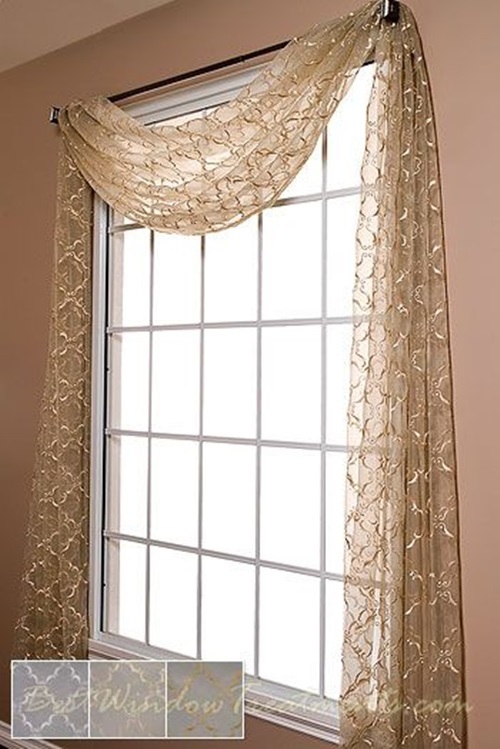 You can use a cottage curtain to enhance your cottage style house, or it can stand alone as a cottage style curtain in a contemporary or classic house. 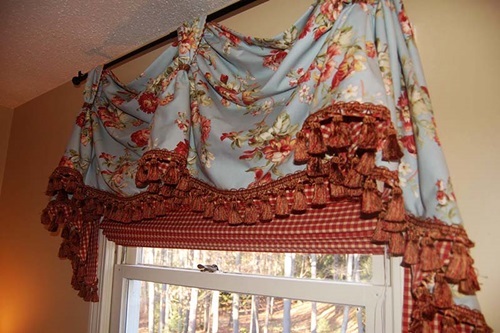 You can find beautiful colors and fabrics of the cottage curtain. 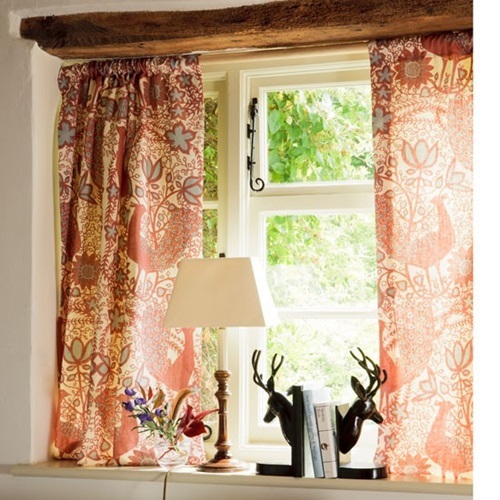 The cottage style is used mainly in the mountain regions; however, you can use this kind of curtains at home to spread the warm feel at the cold winter nights. 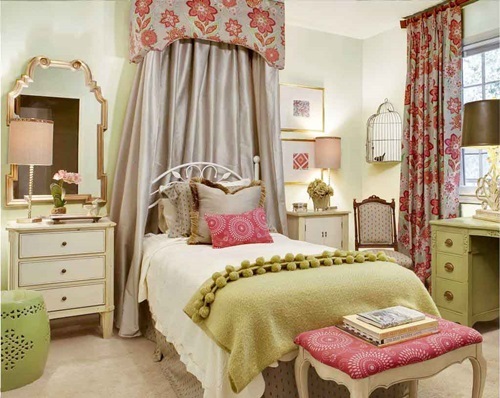 To achieve this purpose, you can use beautiful colors such as the soft pastel colors, red and white colors, and the colors of sand and rocks. 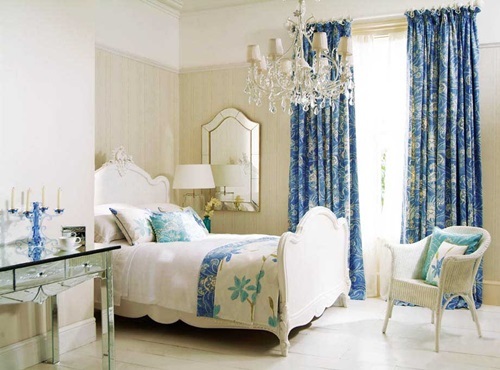 You can get a cottage look using embroidered patterns with tops and bottoms. 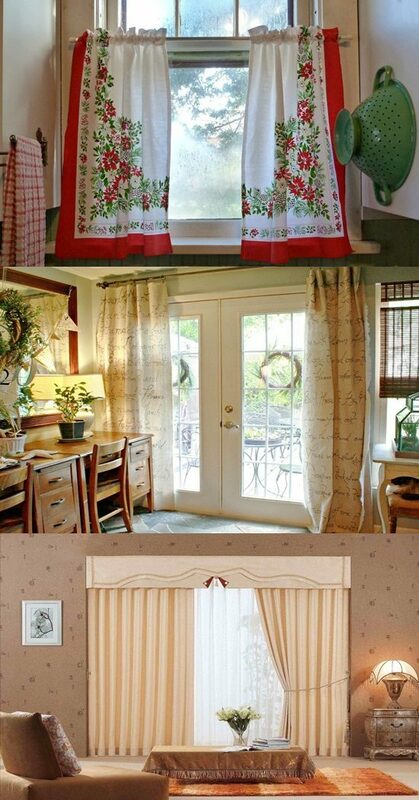 It would be nice if you can use a curtain for the warm summer and another one for the cold winter. 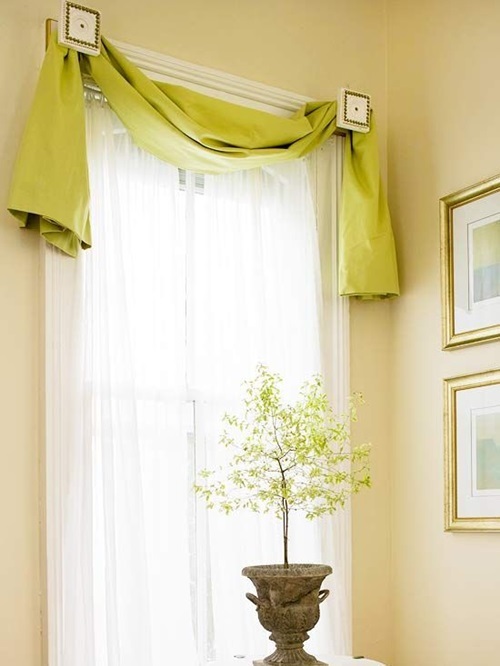 The heavy fabrics that will insulate you from the outside world like thick cotton, taffeta, or toile are perfect for the winter. 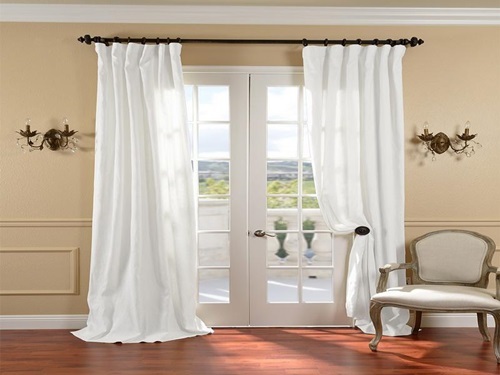 At the summer, you can install a lightweight white curtain on a wooden pole with sheers to be open and close as needed. 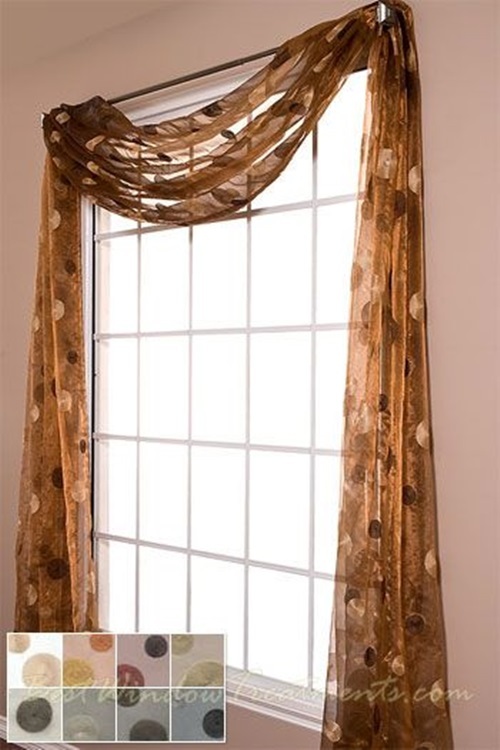 Such a curtain can be contrasted by yellow or red upholstered pieces. 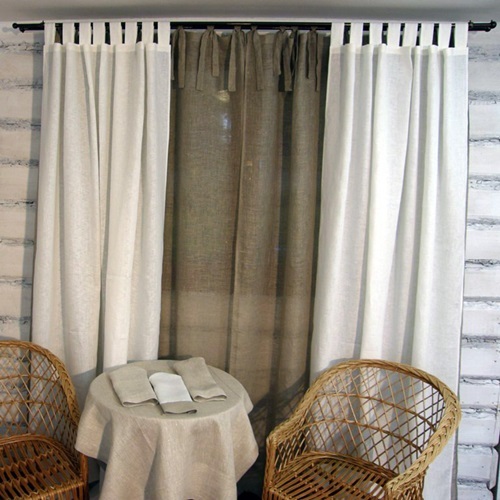 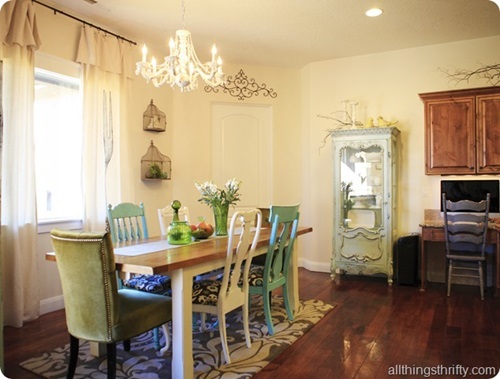 Another great cottage option is to use velvet or cotton drapery panel with a light colored curtain. 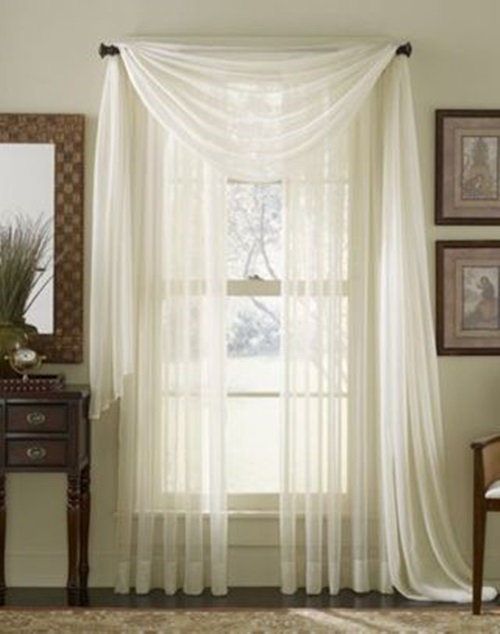 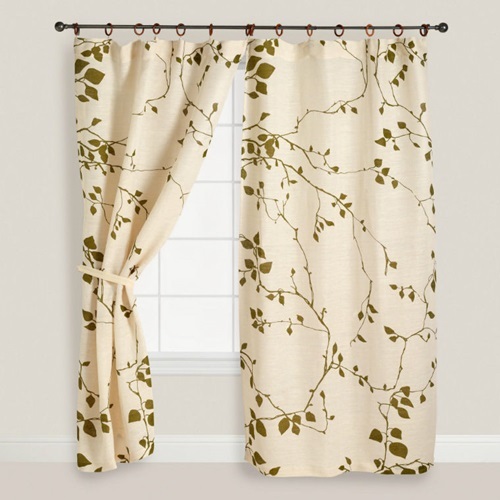 This curtain can create the warm feel by itself, but the look will be complete by a cottage style room. 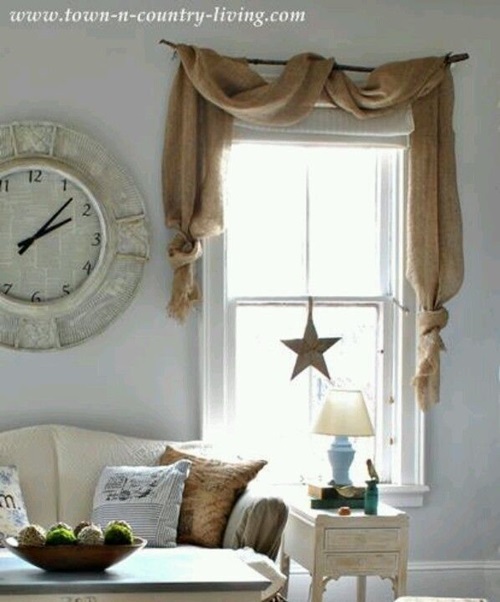 The rolled arm sofas and wooden floor along with a cotton or fabric area rug will complement your curtain’s cottage look. 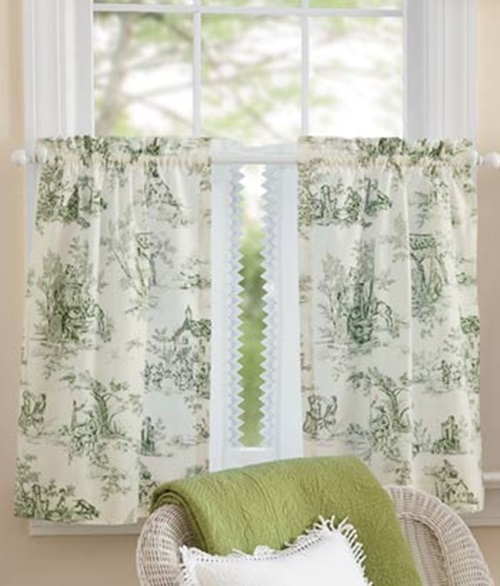 To increase the functionality of your cottage style curtain, try to choose a traverse curtain rod that will help you get smooth movements. 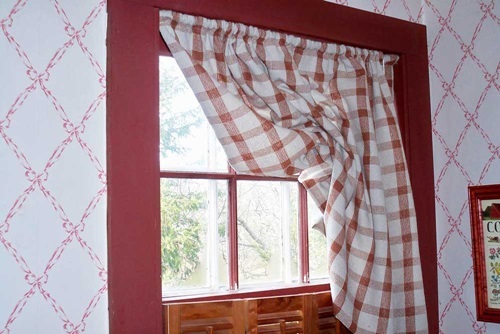 You will need to keep your cottage curtain clean all the time using vacuum cleaner, static duster, or cloth duster to take out the dust. 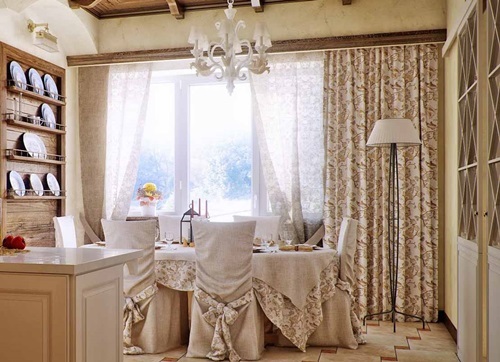 You can remove the stains using the dishwasher soup. 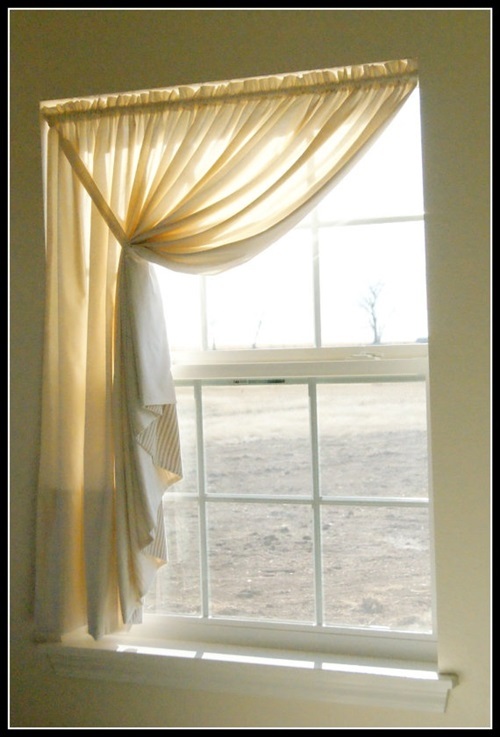 However, you should read the fabric care label before using any cleaner.